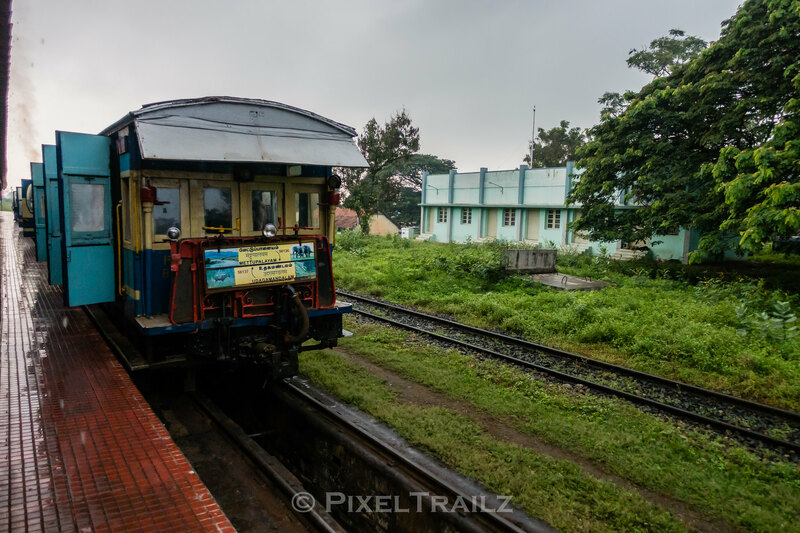 The morning passenger from Mettupalayam to Ooty leaves its doors open and a final call to the passengers to board the train for 5 hours of breathtaking and beautiful scenery. 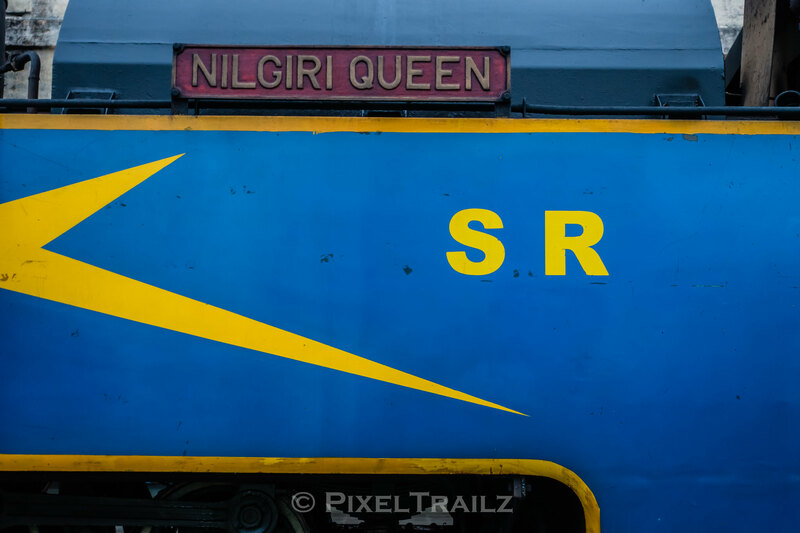 The X Series proudly displays its title, “NILGIRI QUEEN” . Oh Yes sure you are !!!. Photographers, amateurs and hobbyists line up to click this Mountain Queen from all angles. Getting a shot with no or little presence of humans by itself is an achievement. I do not know what this is, but must be something special as it has a platform and preserved like a king. Will update once I find out what exactly is this one. 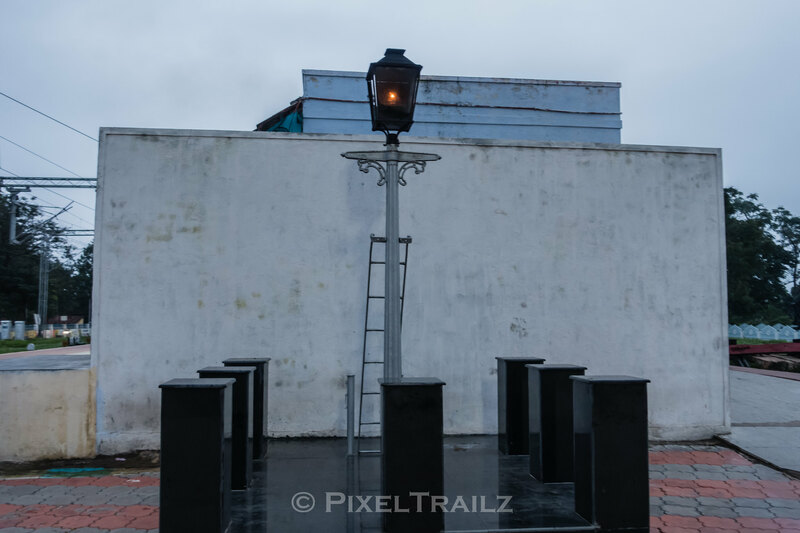 Oil Lit Lamp Post ? 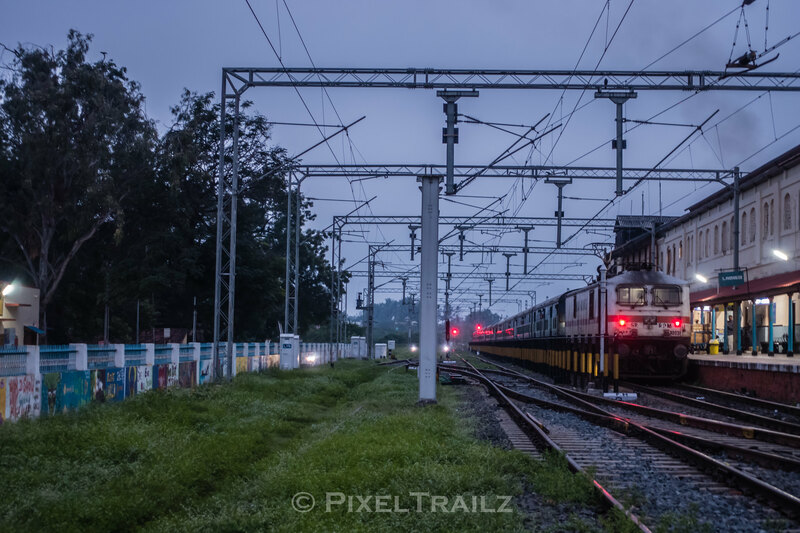 Mettupalayam decided to play Shunting Practice with the WAP7 which got the blue here. 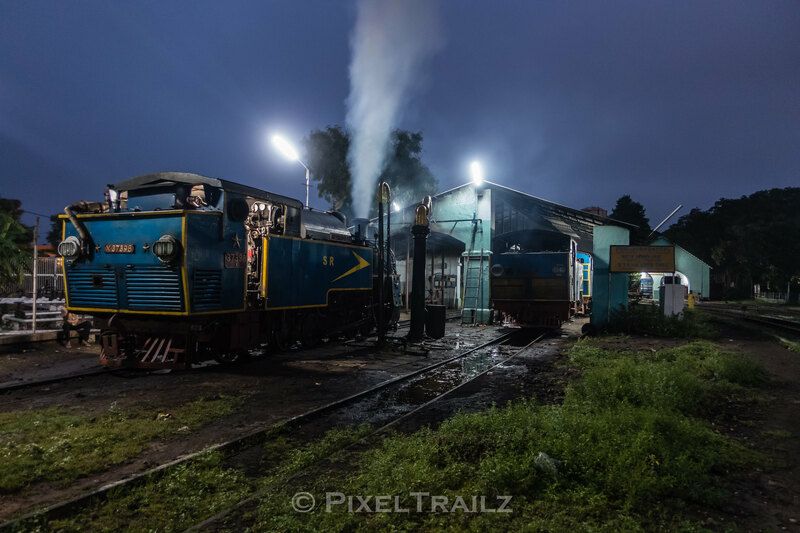 Seen here is the P7 ready to shunt the Blue to the yard for cleaning and maintenance . 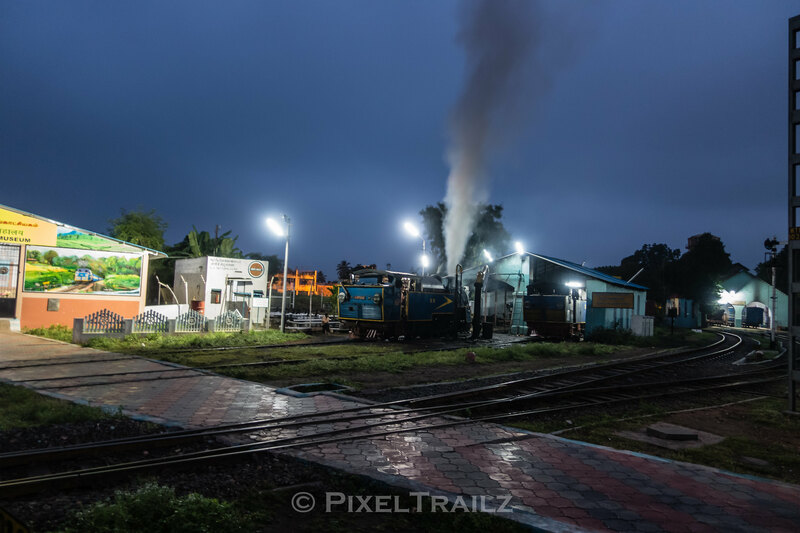 As the dawn breaks, all checked and ready to reverse and get coupled to the NMR toy train for an enjoyable ride in the Nilgiris. 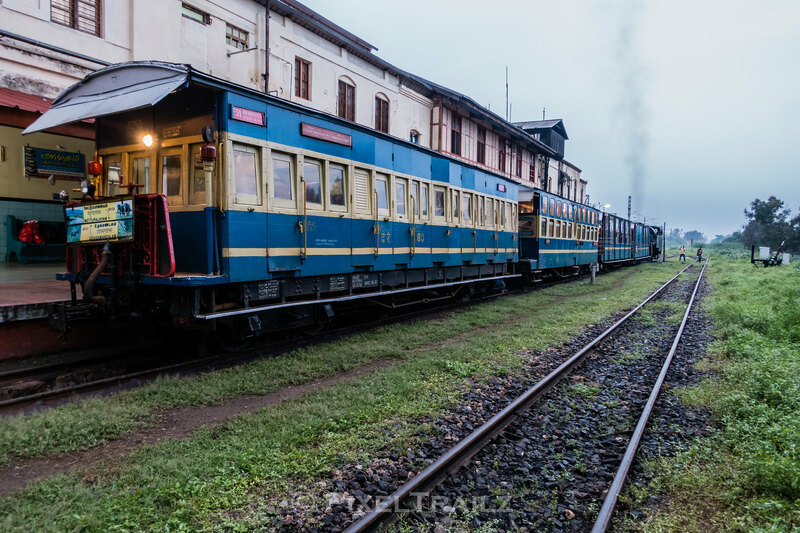 The Nilgiri Special Queen performing her morning duties preparing for an arduous climb in a while.